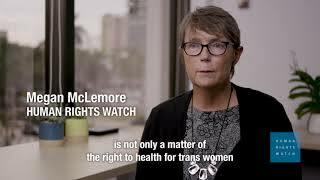 (Miami, November 20, 2018) – Florida fails to deliver basic HIV services to many transgender women, endangering their health and contributing to an uncontrolled HIV epidemic in the state, Human Rights Watch said in a report released today. The 88 page report, “Living at Risk: Transgender Women, HIV and Human Rights in South Florida,” documents the harmful impact of state and federal policies on transgender women in two Florida counties – Miami-Dade and Broward – that have the highest rates of new HIV infection in the United States. Many women interviewed said they experience disrespect, mistreatment, and in some cases, denial of services from government-funded clinics. Florida’s inaccurate and incomplete data collection on HIV among transgender people leaves them undercounted and excluded from government programs to address the epidemic.